It turns out there’s a reason you feel so great after a nap in your recliner. And some people have decided to ditch their mattress and sleep in their recliner to reap the positive health benefits. In this article, we take a look at five health benefits of sleeping in your recliner. There’s a reason it feels good to kick your feet up at the end of a long day. Sitting at your desk or standing for long periods of time causes blood to rush to your legs and feet. Reclining your legs and feet jumpstarts your body’s circulation and helps you recover from daily fatigue. Plus, it’s great for your back! Back pain is a common ailment that will likely happen to everyone at some point in their life. Our back and core muscles are constantly at work balancing our upper and lower bodies. We can take this pressure off our back by reclining and elevating our feet. Reclining removes pressure on our spine. And allows our core muscles to relax. This gives these overworked muscles a chance to recover. Elevating your feet lets gravity send blood to the muscles and tendons of your lower back. This helps our backs heal and become stronger. Sufferers of heartburn, acid reflux, and GERD find relief in their recliner because sleeping in an upright position allows gravity to keep stomach acid down. By breathing easier and keeping your stomach acid where it’s supposed to be, you’ll be able to get a full night’s sleep. Your nerves are constantly firing and working to move your body and get things done. By reclining and giving your body a chance to heal, you’re also giving your nervous system a much-needed break. Implementing deep, slow breathing while you recline will put your body in “rest and digest” mode. “Recliners can help with back pain for the simple reason that you take the weight off of your back. By reclining or lying down, you rest your spine. A reclining position is better than sitting up straight because when you sit up straight you are still contracting your muscles. Elevating your legs and reclining and supporting your back helps. This can help in many other medical conditions, for instance, varicose veins. The blood flow goes back to your heart and that is also good for inflammation. Sleeping in your recliner has many health benefits. However, if you pick a recliner that doesn’t fit your body you may experience unnecessary neck, back, and leg pain. 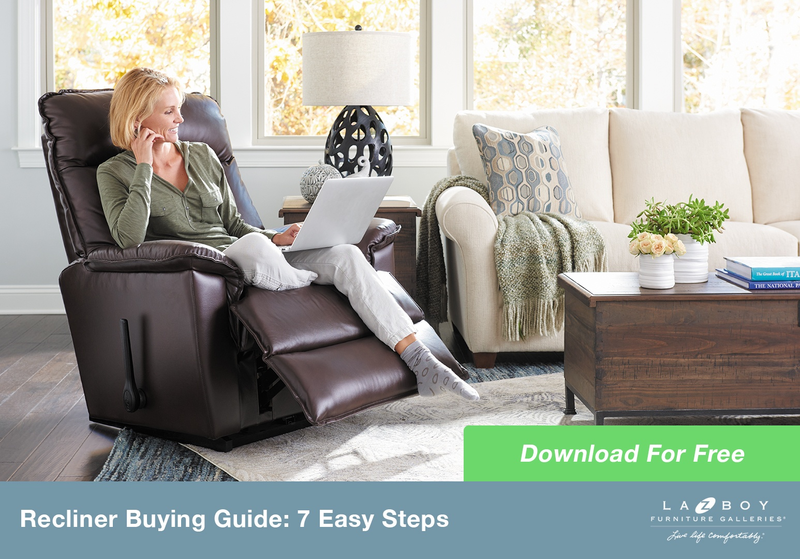 You can make sure you prevent these avoidable aches and pains by downloading our guide to finding the perfect recliner. 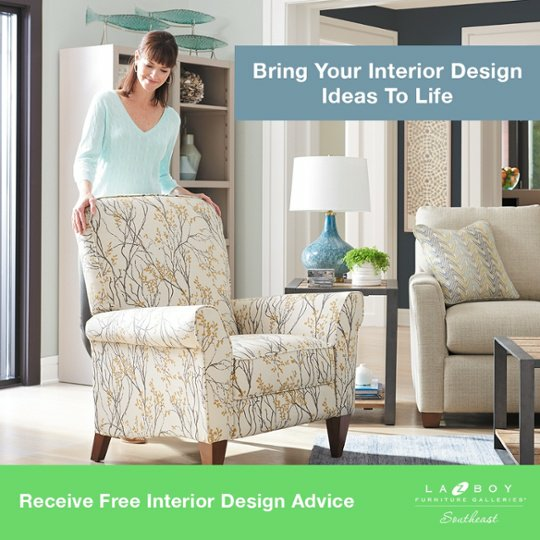 At La-Z-Boy Southeast, they’d love to help you take advantage of the health benefits of sleeping in your recliner. 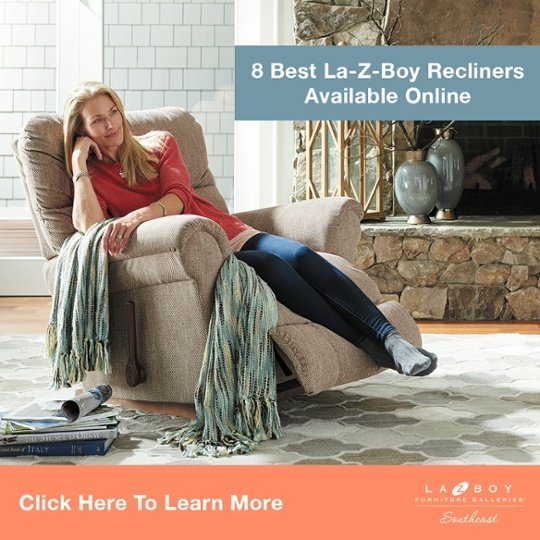 You can learn more about the perks of sleeping in your recliner at any your local La-Z-Boy Furniture Gallery.